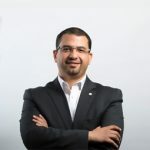 Tareq Bashir joined the core executives who established Fawry first as Chief Technology Officer. 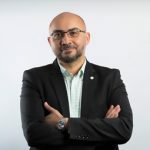 Leveraging his diversified expertise in information technology, software management, process dynamics and quality assurance, he led a sequence of driving roles over his eight years in Fawry. Currently Chief Knowledge Officer, he served as CTO, CIO, and CKO heading the decision support division. Bashir joined Fawry with 25 years of accumulated field experience in software engineering and self-service banking channels technology. Putting his knowledge aside, he was the Samba Financial Group KSA (ex-Citibank) technology VP for fourteen years, where he was responsible for the ATM, POS, Cards, IVR, Internet Banking, and MIS, to establish the first Project Portfolio Management department in KSA, aligning business and technology of 400 million annual investments. Bashir was then positioned as the bank’s offshore technology head, liable of three countries projects.